Polybloggimous: You No Longer Need To Travel 5000 Miles To See Absolutely Nothing Happen. The Internet Proves Miraculous Once Again. You No Longer Need To Travel 5000 Miles To See Absolutely Nothing Happen. The Internet Proves Miraculous Once Again. 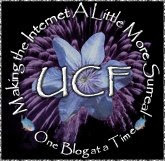 That's my friend Jeri, the one who hosted UCF-a-palooza when I went to Seattle a couple of weeks ago. She's the one on the right. 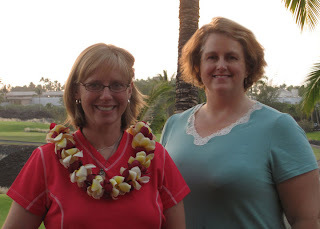 I snarfed this pic off Jeri's Facebook page and I have no idea who the one on the left is, but I'm sure she'll thank me for making her hugely famous here on Polybloggimous. The real point, however, is that I started Googling about the Tsunami and realized that a.) it was supposed to hit at a little after 4:00pm my time and b.) 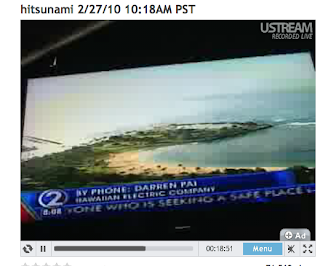 there was live streaming video from one of the news stations there. Of course, I became enraptured. They had lots of people talking about Tsunamis. Many of them contradicted each other. There were shots of police shutting down highways. 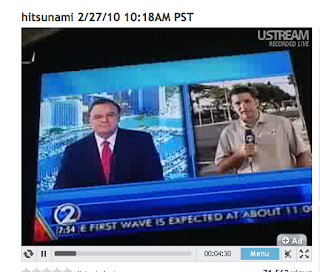 They interviewed people and went live to shots of reporters who were, presumably, nowhere near where the Tsunami was supposed to hit. There were lots of shots of this lovely, tranquil looking bay. For the duration of the reporting, the bay continued to look relentlessly lovely and tranquil. At one point, there was a discussion of how wave height is measured (from the tip of the wave to the bottom of the trough), and the anchor man helpfully demonstrated by wiggling a sheet of paper for a minute or two. 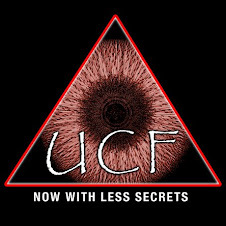 He also took three or four phone calls that were supposed to be citizen eyewitness reports, but turned out to be people who just like to swear at unsuspecting news anchors live on the air. Mr. News Anchor was listening to them so intently that he asked them to repeat themselves and they cheerfully did so. 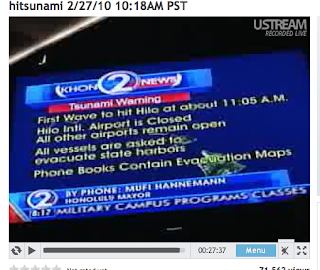 At 11:04, I waited breathlessly with all of Hawaii for the Tsunami to roar ashore. The bay implacably continued its ceaseless tranquility. The news anchor went to a phone interview with a Tsunami expert, asking polite questions when clearly, he wanted to ask, "Is THAT all that's gonna happen"? Then the Tsunami expert explained that this stuff isn't an exact science and that 11:05 was just a prediction so really it could happen any time up to an hour before or an hour after the 11:05 prediction. News Anchor-guy sounded pissed. He didn't actually say it, but I could clearly hear him thinking, "Now you tell us!" 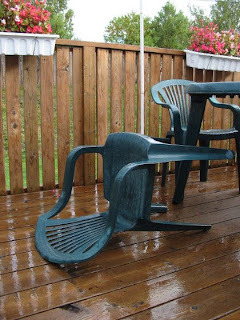 I was able to find this picture of the storm damage. Ain't the internet wonderful? I can also report that there's nothing in particular happening on the Iowa 5 Bypass at Fleur Drive. That' in Des Moines!